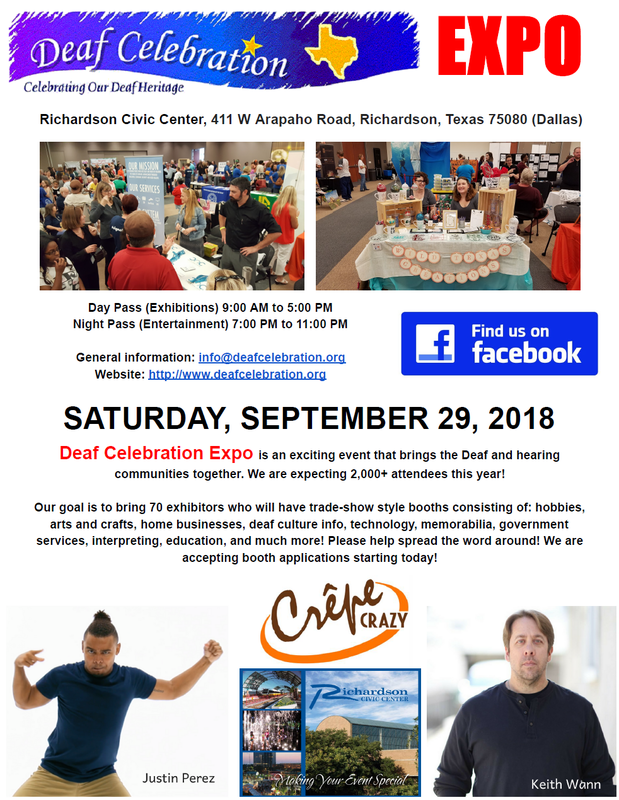 Deaf Celebration Expo 2018 – Don’t Forget to Pre-Register Today! Register FREE ADMISSION! Avoid long lines and waiting at the event. The Deaf Celebration Expo is an exciting event that brings the Deaf and hearing communities together. Our goal is to bring 70+ exhibitors who will have booths consisting of: hobbies, arts and crafts, home businesses, deaf culture info, technology, memorabilia, government services, interpreting, education, and much more! We will sell prize raffle, t-shirt and entertainment ticket during the day and at the door. We will have food trucks selling foods all day. Volunteer Opportunities! Interpreters, Students, and deaf in general welcome! A special thank you to Signs2Go Interpreting and Hired Hands Inc!